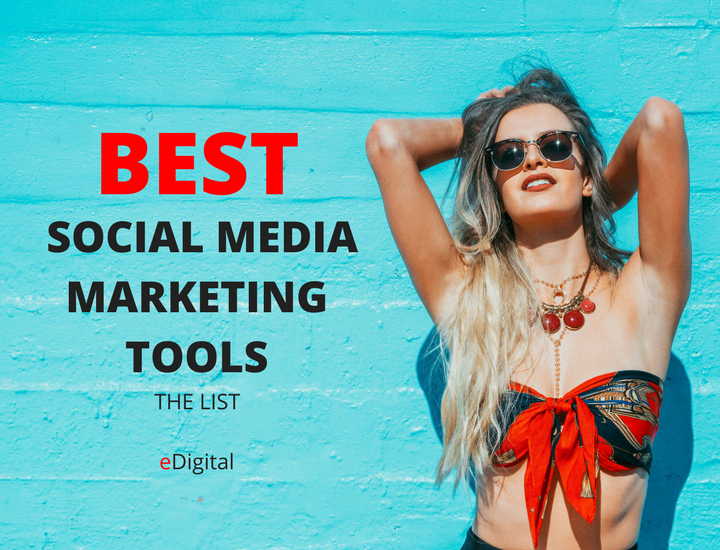 Find below the Best Social Media Marketing Tools in 2019 List curated by MAU. Senior Digital Marketing Specialist & Trainer at eDigital. If you want to compare any of the below tools, use Trust Radius for provider comparison, it will give you an indicative of what real users think about these tools, platforms and software. Allows marketing managers run Facebook advertising campaigns in-house with workflow automation, predictive optimisation, roi measurement and attribution technology. Nanigans arms marketing teams to drive incremental revenue with the most powerful and transparent cross-channel buying platform. Sophisticated commerce advertisers currently optimize more than $700M in annual ad spend through the Nanigans platform. Designed to work with paid social posts and other ad media for the purposes of driving mobile app installs, this apps gives you real-time data on a host of important metrics – clicks, organic vs. nonorganic installs, revenue, average revenue per user, even custom in-app metrics to help you track interactions after app installs (booking a hotel room or building a shopping list, for example). 30-day free trial if you’d like to test it before paying. Some clients are HBO, Macy’s, The Wall Street Journal and Samsung. Thanks to the tool’s extensive mobile analytics and attribution-centered focus, you can easily track a full suite of attribution metrics. AppsFlyer works well with all attribution models, this way you can get a more complete understanding of your mobile marketing ROI and present clear results that highlight areas you can improve your social media performance – and ensure you’re investing the most where you’re most likely to profit over time. The tool is fully scalable and boasts 99.99% uptime, making it a reliable choice to help you keep the attribution data flowing at all hours. ClickMeter works well with the attribution model of your choice, including custom models. ClickMeter offers more than 100 features to assist marketers with marketing attribution and analytics. The software is fully integrated with social media and is developer friendly, playing nicely with everything from AdWords to SandBox. The maps and reports it creates provide detailed insights on your audience (including click streams – i.e. what people are clicking on while on your site). You can turn any URL into a short tracking link for easy sharing on Twitter and other social channels and to keep an eye on where and how your content spreads on social media and beyond. Shortened URLs can provide a whole host of metrics on who’s clicking on your social posts, revealing their geographic locations, devices, platforms, browsers, OS, language settings, and more so you can hone in on your audience and build rich personas based on real data. The tool also uses pixels to track conversions, run targeted campaigns with QR codes, and try A/B testing your URLs. Clk.im helps take the headache out of these complex yet powerful social media marketing tasks, so you can track the effectiveness of your strategy and tweak it accordingly. 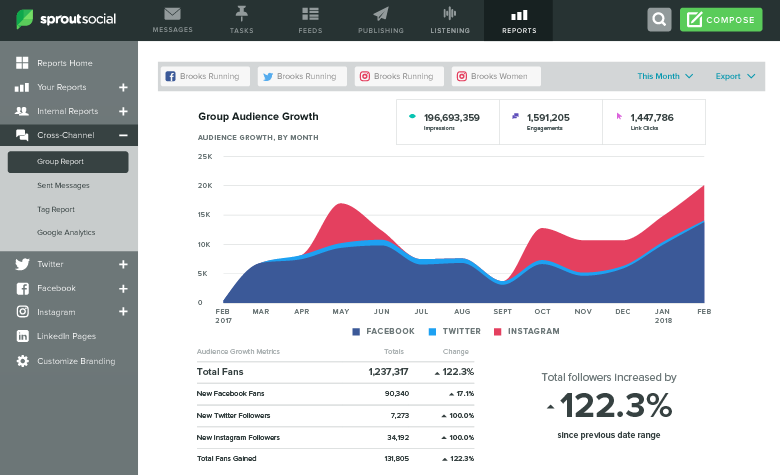 Analytics reports for Instagram, Facebook, Twitter, Linkedin, Snapchat. Starts at $49/m for five social accounts. Great asset for any marketing team that’s starting to think seriously about attribution. The tool has the ability to integrate directly with Attribution, a web app for multi-touch tracking and customer acquisition cost analysis, as well as Convertro and TUNE. Segment work nicely with most attribution dashboards and models. Segment was initially designed to help businesses send data wherever they need it, this is a smart pick for getting started with sophisticated social media marketing attribution. Segment is especially useful to marketers working with multiple types of paid social posts. Compared to display advertising, sponsored social posting is a relatively new media type, and as a result, not overly saturated. Less competition, greater exposure, and excellent ROI are great reasons why today’s marketers are turning to paid social, which only highlights the greater demand for viable attribution solutions. Insights: Inform content and campaign planning with social data. Planning: Organise content into the campaigns it’s fulfilling, then report on those campaigns. Content Management: Control the content used to populate your social media posts. Collaboration: Chat or assign tasks to work together efficiently. Governance: Route your content through the people who need to see and approve it. Publishing: Schedule and publish your content across your global teams and accounts. You can easily plan and schedule Instagram posts, monitor hashtags, manage and respond to comments, monitor hashtags and run reports to show rich analytics and insights. Manage and publish engaging content. You can save time and optimise your Instagram planning with creative tools, intuitive workflows and powerful scheduling features all within a single platform. Build great customer relationships. Easily engage followers, track campaigns and source user generated content with a unified inbox to monitor comments and hashtags. Benchmark your instagram performance. With sproutsocial you can analyse post and profile level data, hashtag usage and performance and track audience engagement across one or multiple accounts. 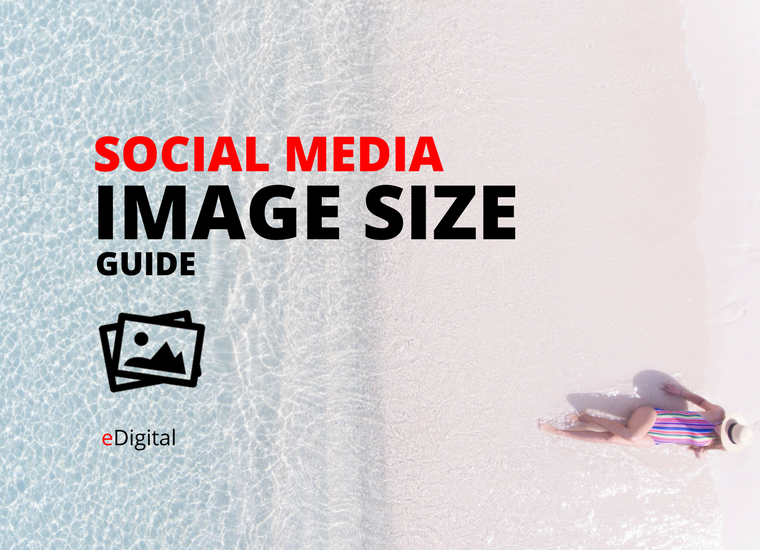 Streamline your Instagram posting process. Receive a push notifications alerting you when it’s time to post. Simplify creative development. Ensure your brand Instagram posts stay on-brand and meet quality standards with editing tools and a centralised asset library. Great collaborative content calendar. Manage Instagram posts efficiently from a team content calendar with campaign tags and a notifications feed. Manage multiple Instagram accounts. Connect and manage multiple Instagram profiles from one social management platform without logging in-and-out. Foster brand loyalty. With a social CRM toolset that helps you engage with customers quickly and personally. Track and respond to posts published in your business location. Find and engage with customers posting media geo-tagged at your business’ location by tracking Instagram locations. Instagram Post Performance Insights: Quickly identify top performing posts with Sprout’s analytics and track comments, likes and engagement. Used by brands including HubSpot, CB Insights and Sequoia Capital. The tool allows you to grow your reach and helps you keep track of how your content spreads across channels. Start A Fire lets you share content assets that your readers will be most likely to love – and keep your brand associated with the content, even if it’s published by someone else. It works by adding a “branded badge” to the pages people see when they click through from your Start A Fire-enabled shares. The URL shortener also offers plenty of rich metrics, so you can track views on your shares, even when they’re re-shared by others. If you were to tweet a link to a New York Times article, for example, and someone retweets it, then your brand does get a certain amount of extra exposure, but that benefit doesn’t last very long, because audience members won’t necessarily associate you with the content. But if you share Start A Fire URLs instead, your badge goes wherever your URL does, and you can track all associated page views, badge views and badge clicks. Great for extra information about your Facebook page users behaviour. With this extension you can search GIF images and add them to your posts on social media and emails by dragging and dropping or right clicking. Anchor Video is a new pretty slick tool that magically transforms audio files to video, transcribing content into easy-to-follow (highly shareable) text you can listen to (on mute). You will like it because most major social platforms aren’t built for audio-consumption. Sharing a URL to an hour-long podcast on Facebook will rarely convert to direct listeners in the moment. On the other hand, auto playing videos with mute-friendly captions are #trending and an effective way to grab peoples’ attention. Anchor’s new tool lets you trim audio clips so you can share a minute from an insightful podcast, transcribed with captions. Here’s an example. It’s a tool that helps businesses cut the time and cost necessary to create high quality animated explainer videos, video ads, video infographics, product videos, and much more. It’s a super easy to use drag and drop video builder in the cloud. Just launched in the second half of 2017 (in private beta) the HTML5 builder which enables greater flexibility and support than flash in all browsers! Here is a video that explains it. Packages start at $60 and include 3 exports. Pow Toon for Education: Flip the classroom, engage students, present your assignments with a wow. DrumUp discovers relevant content from all around the web and provides it to you in a smart news feed. You can also share web pages to your social media networks via the app. This extension enables you to find Twitter users by the topics they’re interested in and follow them. The extension also tracks the content you post to Twitter. Just like Startafire, this extension enables you to embed your messages and calls to action on every page you share with your followers on social media. This extension allows you to add your badge to any link you share. When someone clicks a link shared by you, they’ll see a small pop-up window that provides information about your website: it can be “Shared by” info, smart CTA or a list of your recent articles. Unlike Followr, this extension is a pure automation. Find a profile which relates to your target audience is and launch the extension: it will start following everyone they follow. You can also use it to unfollow multiple accounts at once. DrumUp is a powerful content marketing, curation and social media management tool. Discover and curate trending content, and schedule posts on Twitter, Facebook and LinkedIn. Cyfe is a tool that allows you to search and archive Google Plus hashtag results. eKomi helps you automate the process of requesting ratings and reviews to be added into your google seller rating. Hashtagify.me has plenty of data you can use to analyze hashtags. Related hashtags and their popularity data. The tool will show you other hashtags to consider and will display visually how popular each hashtag is and how closely it correlates to the original. RiteTag helps ensure that the tags you use are well-chosen by showing you how good or overused a particular hashtag is. It also provides you with comprehensive statistics about hashtags before you use them. 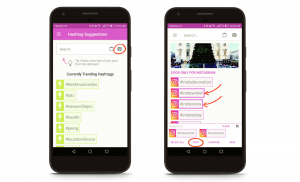 Ritetag uses a machine learning algorithm to suggest hashtags based on the content of your photo. Just make sure you have RiteTag App for Android installed and then follow instructions in this video tutorial or this help page. The Hashtag Suggestions for Images feature is for RiteTag Pro customers. Hashtag suggestions for Instagram photos is coming to the RiteTag iOS app at the end of 2018. Provides photography and visual optimisation for social media and seo. Select interests. Select from over 300 interest categories to receive suggestions that matter to you and your audience. Choose how many suggestions you’d like to send to your social profiles via your Buffer or HubSpot account. Let Quuu handle everything, or manually approve suggestions yourself. Social Bakers offers data and insights for most popular Facebook pages and users by country. helps Video Owners, Publishers & Brands get the Right Video to the Right Audience, on the Right Platform, at the Right Time. Enterprise level streaming/ live video platform. Clients include QBE, David Jones, Australian Government, Tedx Sydney, Virgin, Optus, HotelClub, Bupa, Amazon, Cebit Australia and others.